For the best stainless steel tanker repair in Clewiston, Florida, contact Florida Truck and Trailer. Located on the southern edge of Lake Okeechobee, Clewiston is known for providing fresh vegetables and other agricultural products year-round. If your tanker has been damaged and you are in Clewiston, Belle Glade, Moore Haven, Okeechobee or South Bay, we can quickly assist you. Since 1970, Florida Truck and Trailer has been providing tanker repair to thousands of clients in Clewiston and throughout the state of Florida. Our reputation for outstanding quality is evident and unchallenged. We treat your truck and fleet vehicles with priority status to achieve the fastest turnaround time possible. Our state-of-the-art equipment coupled with our experienced technicians allows us to complete every job to perfection, on time and on budget, getting it done right the first time. With over 40 years experience there’s nothing we haven’t seen and repaired. Whether you are an independent truck operator who’s poured his life’s investment into his rig, or a company with a large fleet of semi-trucks, Florida Truck and Trailer will treat you with the same level of respect and care. We are passionate about helping the hard-working men and women of our country’s trucking industry. We know that our nation’s economy relies on keeping these semis and trailers on the road and that’s why we are serious about keeping your equipment looking and running like new. 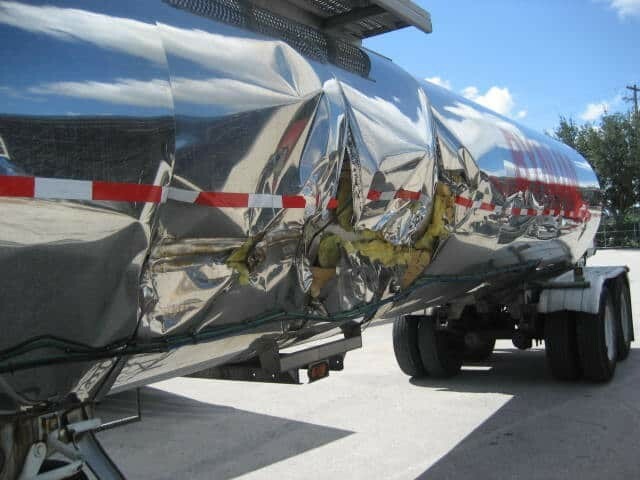 We hope you never have an accident but, in the event, that you do and need stainless steel tank repair, look no further than Florida Truck and Trailer to get you back on the road looking like new. We can assist you with all aspects of insurance claims to limit the down time of your truck and get you back on the road as soon as possible. Call us today or stop in to see our state of the art facilities at 3500 State Road 60 East, Bartow Florida.